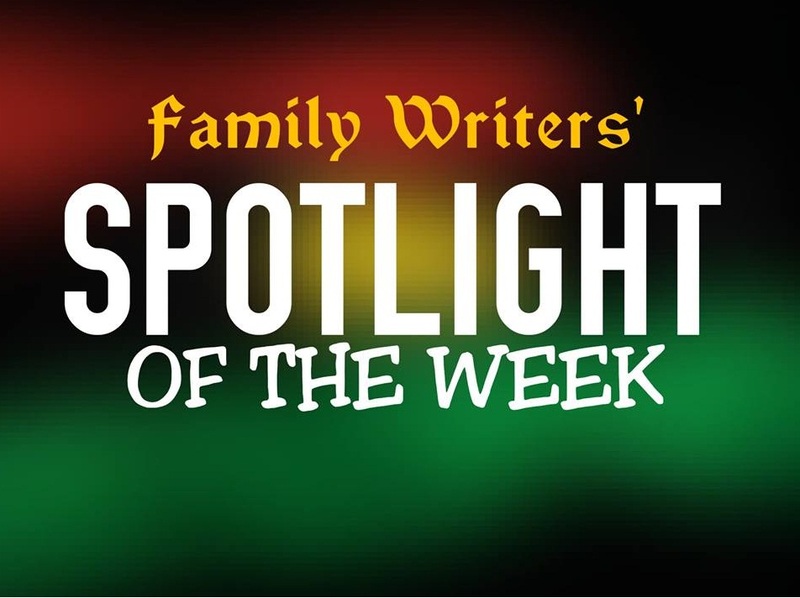 In this first edition in the month of June; We welcome you to Spotlight Of The Week from the Spotlight crew of Family Writers Press. * First on our desk, Is the statement accredited to the lion of Yoruba land, Femi Fani-Kayode, he said: "If you don't want to fight for your freedom, remain in the contraption called Nigeria". "We're Biafrans", Idoma people from Benue denounce Nigeria. * "'Born to Rule Psychosis', hindering Nigeria's growth and development" -That's according to Chukwuemeka Ezeife. "I'll crush the North and divide Nigeria if they dare resist restructuring" -That's according to Tinubu, the APC Chairman. * After much silence; Senators raise alarm over the sponsored wild activities of Fulani herdsmen who have been causing havoc, maiming, killing people and destroying properties all over the country. Now, the question is- Why now? Why didn't they raise alarm at the eve of this issue and tackle the terrorists? * Carefully, we(the spotlight crew) viewed the Nigeria judiciary as we spot NJC recall Justice Ademola and five other judges accused of corruption. * "I am very much pro Biafra because I recognise Biafrans have been wronged desperately" -That's Soyinka speaking during an interview with Al jazeera. * During the week; workers who have been complaining alongside those who were pretending, voiced out. "We've not fared better under President Muhammadu Buhari's APC administration". * Nnamdi Kanu is still seriously sensitizing the people and doing that, which he's ordained to do for the restoration of Biafra. As the days count in the week,, He met the President of Ohanaeze, meet and welcome others in his hometown Umuahia. * As the struggle for Biafra keeps generating more reactions; our attention was drawn to Senator Sani's doorstep where he said to Biafrans: "You cannot afford to break Nigeria now". And the unanswered question remains- WHY? Two died, hundreds of flights affected as torrential rain hit Taiwan. * During the wonderful week; Biafrans shocked the Nigeria government and surprise the world as they shut down entire Biafra Land on 30th May 2017 to honour their fallen heroes and heroines as ordered by IPOB. * "Revoke Nnamdi Kanu's bail, he have violated bail conditions" -SEPA tells Chairman of Abuja High Court. Shortly after the statement contained in a letter from the group called South East Peoples Assembly(SEPA), the war between them and IPOB kicked off as Biafrans gave them heavy blows, call them faceless while others who were not left out, called them paid Nigeria political jobbers. The question still lingering in the minds of the Spotlight crew is- "Is this not another sponsored activity of the Nigeria government seeking to incarcerate Nnamdi Kanu again?. * After the heavy blows and bombardment from the public to SEPA over the statement accredited to them; the self-acclaimed non political SouthEast based group, disassociated itself from the purported letter written to the chairman of the Federal High Court, calling for the rearrest of Nnamdi Kanu for allegedly violating bail condition. * Nigeria military at it again as they storm a popular newspaper stand at Garriki area of Enugu state, arrest 11 Biafrans for reading and debating on newspaper headlines. * House rejects Southeast Development Commission Bill. Hmmm.. Another boost for Biafra struggle. * "End herdsmen attacks now" - Governor Fayose urges Federal Government of Nigeria. On same vein; "Nigeria's Islamic government, sponsoring Fulani herdsmen to massacre Christians just as they did during the early days of Boko Haram" -Angry Yoruba man who goes by the name Ola, writes on his page, promise to reveal more secrets soon. * "Nnamdi Kanu went against some of the bail conditions because they are unconstitutional" -Bar. Ejiofor, lawyer to Nnamdi Kanu(Leader of IPOB) clarify issues. * "Any attempt to rearrest or harm Nnamdi Kanu, is a call for war" -Biafrans warns Nigeria government. "Conduct referendum now" -Indigenous People Of Biafra (IPOB) tells Federal Government of Nigeria. - Great Day In Igwuocha As SouthEast Senatorial District Inaugurates White House Zone In Obigbo. - Biafra: SEPA's Call To Revoke Nnamdi Kanu's Bail, A Handiwork Of Unscrupulous Govt. Agents, Should Be Disregarded. - How IPOB May 30 'Sit At Home' Was Observed In Aba(Eyimba City). - Nnamdi Kanu, The Voice Of The Oppressed People Of Biafra. - IPOB Recorded A Huge Success In The Sit At Home Directives In Biafra Land. - IPOB Releases Fresh System Of Government, Nations And Tribes.